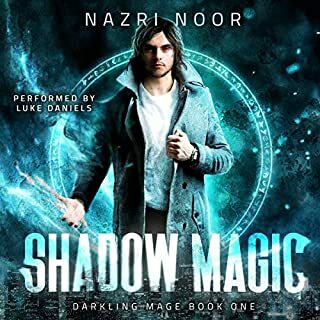 From the author of The Iron Druid Chronicles comes a rollicking, all-new urban-fantasy adventure featuring Atticus O’Sullivan. Atticus has a history of messing with the gods, and in this original novella, he’ll have to outfox a deity at her own deadly cat-and-mouse game. Unfortunately Atticus already has enemies in Egypt - including cat goddess Bast, who wants her own book of mischief back from the Druid. In the streets of Cairo, she sends a feline phalanx after Atticus and his Irish wolfhound, Oberon. With fur still flying, Atticus must locate the sorcerer’s secret lair - where he will face killer crocodiles, spooky sarcophagi, and an ancient evil Egyptian who’s determined to order the sacrificial lamb special tonight. Includes a bonus recording of the short story "Clan Rathskellar"! In this novella there are two stories and an excerpt for book 6 hunted (about 8 minutes). Both stories have a little of Oberon in them in case you are wondering. They take place before Granuaile as well. The primary story involves an ancient book in Atticus's collection that leads him on a journey to Egypt. Here he must deal with Bast, God of cats, Sobek, God of crocodiles, evil wizards, and demons. This one was a lot of fun and anything that involves Oberon and cats is always a good fit. Next, a short chapter presenting a preview of hunted is given. Then the last story is about clan Rathskeller, which takes place ten months before the book hounded. This one is about gnomes and fairies and is about fifty minutes long. 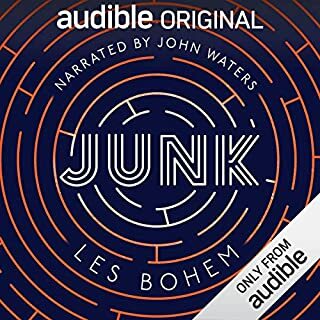 This may not be the best value for your buck on audible, but well worth it if you enjoy the series thus far. I liked this novella better than his last. 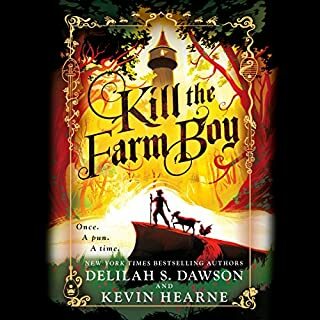 Again, these are prequels to the current book and I hope Kevin Hearne in the future makes more of these side adventures. The narration is always excellent. I don't think we could stand for having anyone else but Luke Daniels for the voice of Oberon. "Grimoire of the Lamb" is only two hours long on this 3-hour item. I stopped in disappointment when "Lamb" ended and the narration turned to an excerpt from the soon-to-be-released sixth novel (which, like most of us who have become hard-core suckers for this series, I will probably buy in its entirety). Then I read the review by Brian from Santa Cruz, who points out that if you skip over the 10 minutes or so of the outtake, there's a whole second story ("Clan Rathskellar") on the selection. So it's not as disappointing as I thought at first. Thanks, Brian! Neither story is anything spectacular, just fun sidelights for us hard-core types getting our Luke Daniels as Atticus and Oberon fix. What did you love best about Grimoire of the Lamb? He makes the Series. Ill never be able to listen to him read another series now, he is Atticus. Very little of substance. Don't waste your time with this one. Zip, zap, and it is done. When I ordered this book I thought "Hey 3 hours of Iron Druid is better than 10 hours of something less fun." What I got was closer to two hours of Iron Druid and an hour of a random chapter of an upcoming Iron Druid I will buy when it comes out. If two hours of a book are worth a credit to you go for it and enjoy! Luke Daniels is Atticus O'Sullivan!!!!! 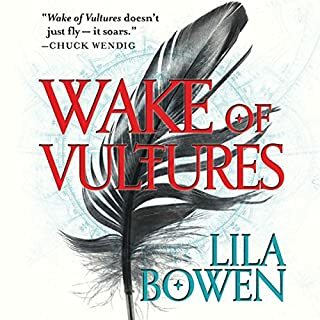 This book is a prequel to the Iron Druid series as a whole. The book is entertaining, it is just Atticus and Oberon with a brief appearance by Hal and The Widow (I really miss her). The whole Egyptian pantheon makes for an interesting story, and is something that I hope will be further explored at some point in the future. As always, Oberon gets the best lines- when he got his mind blown it cracked me up. I am not a fan of short stories or novellas within a full length series but Hearne does pretty well in that it doesn't feel super rushed and while I wished it had been longer, there weren't a ton of loose ends at the end of the story. Hunted cannot come out soon enough, all the excerpt did was whet my appetite for more. The short story was an added bonus, it's free on his website so I'd read it already but hearing Luke Daniels read it was pretty awesome. Love this series. Love Kevin Hearne. Love Luke Daniels. Love this story. I actually prefer the novellas/short stories offered by many authors these days. The writing is tight and fast paced. The stories are clever and light. A very enjoyable tale (x3 in this case). The excerpt is a bit of a cheat. If you could sum up Grimoire of the Lamb in three words, what would they be? 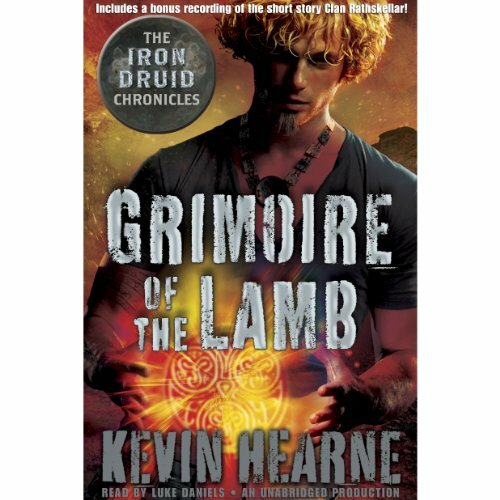 What other book might you compare Grimoire of the Lamb to and why? Any of his other books. 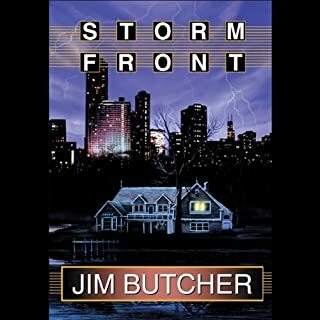 This also is in the ballpark of Jim Butcher as they are similar in tone. Plus, this series is getting better while the Dresden files is kind of in a lull at this point. It made me laugh several times. I don't usually spend credits on a short story but this one is worth it. Would you consider the audio edition of Grimoire of the Lamb to be better than the print version? I'm not a fan of this genre BUT can not wait for each book in the Iron Druid series. 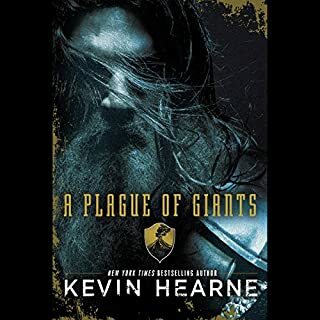 The Novellas are a great way to get the back story and to pass the time waiting for the newest book.Kevin Hearne has become our family and friend's favorite author.We rarely agree on books BUT the Iron Druid series makes us all join together to enjoy them! What made the experience of listening to Grimoire of the Lamb the most enjoyable? Another great episode in the Iron Druids life. But no offence to the narrator of this episode but he hasn't got the voices right at all, especially Oberons. I really prefer Christopher Ragland's narration of the rest of he series. However this episode is Definatley worth a listen.